Adventure Palace is the game that allows gamers to have quite the adventure in the most colorful of graphics. With 5 reels and 9 pay lines, the game offers the player a considerable betting range of $0.01 up to $45 making it quite affordable for players who may be on a budget. 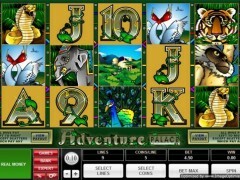 Adventure palace has a coin bet range from $0.01 up to $1 with an allowance of 5 coins per line. The maximum jackpot for the game is 10,000 in coins and $50,000 in cash and although it doesn’t have a bonus game, Adventure palace allows for free spins, a multiplier, a wild symbol and a scatter symbol. Adventure Palace is very colorful and consists of symbols such as the elephant, tigers, peacocks, monkeys, king cobras and swans. The symbols succeed in creating a jungle adventure theme giving the game a nice adventure feel for the gamer looking to feel authentically on adventure while playing slots. The themed sound effects also further enhance the game’s adventure ambience. The game is very affordable seeing as bets start from as little as $0.01 which makes this slot game ideal for the gamer who enjoys gambling on a budget while still seeking to feel the thrill of winning big which Adventure Palace has been known to provide. 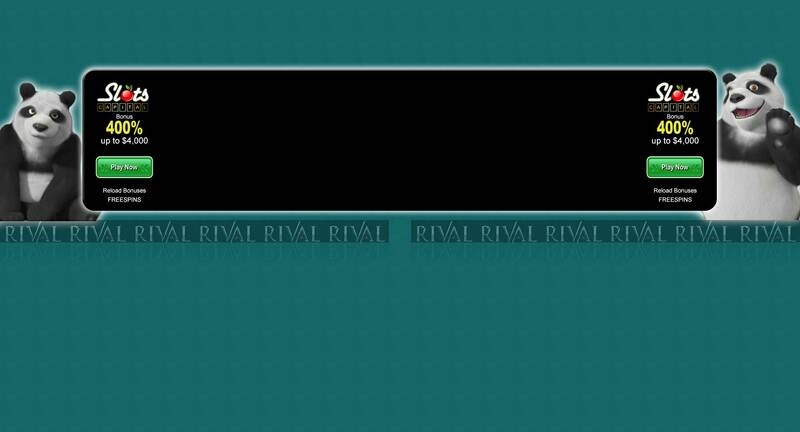 The elephant symbol will result in doubling a player’s winnings when it replaces any other symbols except the scatter symbol to complete the winning combination. Scatter symbols in this game are multiplied by the total number of credits staked and the jungle symbol is the scatter in the Adventure Place game. During the game 3, 4 or 5 scattered jungle symbols will result in the player activating the free spins feature and all winnings during this free spins feature are tripled and what’s even more awesome is that the free spins feature may be retriggered during the free spins. This means that a player may have even more opportunities to hit the jackpot something that is most welcomed by avid slot gamers who seek a game with the most possibilities for winnings. The Adventure Palace slot game also gives a gamer the chance to double or even quadruple their winnings in the gamble feature. The gamer can make use of this gamble feature by clicking on the gamble button that appears on the screen before they collect their winnings and choose a card color by clicking on their choice of either black or red. If a player gets the card color correct, they quadruple their winnings but if they get it wrong, they lose their total winnings. But of course the player has the option of just collecting their winnings. Adventure Palace offers gamers an adventure in the casino gaming community with its numerous features especially the gamble feature that allows a gamer to quadruple their earnings. A gamer that decides to gamble their winnings will be embarking on a one of a kind adventure and with the low bets that you can place in the Adventure Palace; you can experience this adventure thrill without risking too much money. Some online casinos also offer Adventure palace for free play for those gamers that want to take this game for a spin before deciding to use real money.